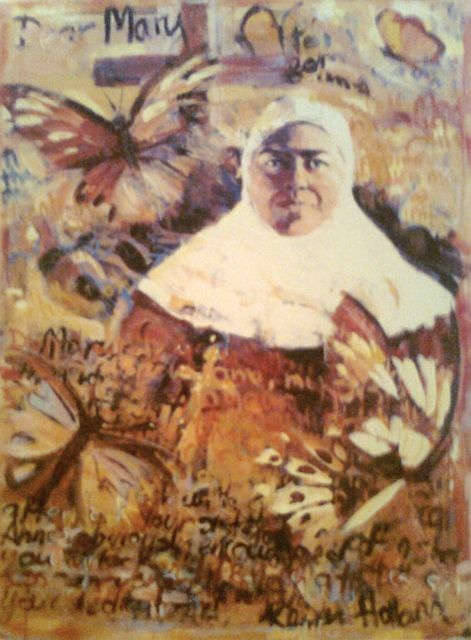 Painted in 1995 for the beatification of Mary MacKillop, this painting has found a home at the MacKillop Community centre, Ballajura. The Butterflies symbolize the Resurrection. The cross represents her devotion to the work of Christ amongst the poorest of children.